Over the last few days, I have been discussing some of the higher profile upcoming arbitration cases. I rely partly on my arbitration model developed exclusively for MLB Trade Rumors, but will also break out some interesting comparables and determine where the model might be wrong. 2019 projections are available right here. Nolan Arenado already earned $17.75 million in 2018, and put together another storied season. 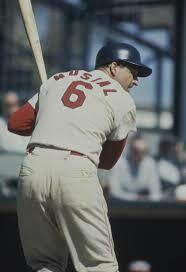 He led the league with 38 home runs, and hit .297 while knocking in 110 runs. He won yet another Gold Glove, yet another Silver Slugger, made the All Star Game, and again finished in the Top 5 of MVP Voting. That makes for his sixth, fourth, fourth, and third consecutive season in each of those accomplishments. Entering his fourth year of arbitration, it stands to reason that Arenado will earn more than any player ever has in arbitration. After all, Josh Donaldson currently holds that record at $23 million just last year. Since the arbitration system generally awards raises based on platform year performance (except for in the player’s first year of arbitration eligibility), Donaldson’s level of pay would only reflect a $5.25 million raise, which is frankly too small for Arenado. Indeed, the model predicts a big move up to $26.1MM for Arenado, which would represent a raise of over $8MM from his 2018 salary. Notably, too, there is some uncertainty present, since he earned $17.75 million last year only as part of a two year deal. Players do sometimes get treated differently in the event of returning to arbitration following multi-year deals. In the industry, this is often termed a “re-slot.” Probably the most recent notable example of such was Bryce Harper. In 2017, he received an $8.625 million raise from $5 to $13.625 million after a two-year deal. In that case, Harper had won the MVP Award in the first year of the two covered by the earlier agreement, and may have been treated as someone who would be re-slotted. In this case, if we were to estimate what Arenado would have earned in arbitration in 2018 based on his 2017 performance, we might have guessed $20.7 million rather than $17.75 million. So, if anything, we would probably expect Arenado to argue for more than $26.1 million based on a re-slotting. Already in uncharted waters in terms of salary, that may or may not be a hard sell. After all, at that point, we would be looking at a “Kimbrel Rule” situation. That “rule” is named after Craig Kimbrel, and basically describes the maximum amount that we should expect a player to break the record raise for his service class. This rule exists because Craig Kimbrel’s first year of arbitration eligibility was so unique that my model had him earning significantly more than any closer had ever earned. We therefore capped his projection. The Kimbrel rule as applied to Arenado would give him a $26.75 million maximum, not much different than his $26.1 million projection. If we look for comparables, it’s hard to find any for Arenado regardless of the method used to evaluate him. Donaldson would actually be a floor in my estimation. He hit .270 with 33 HR and 78 RBI in 2017, but in just 496 PA. With Arenado stepping up to the plate a whopping 673 times, and hitting .297 with 38 HR and 110 RBI, he will surely not command a smaller raise than Donaldson’s $6 million. One potential comparable for Arenado could be teammate Charlie Blackmon, who produced .331/37/104 the year before last, and got a $6.7 million raise. We might expect that to be a rather close match for Arenado, although Blackmon’s ultimate raise was called into question by other agents at the time. Still, if we think that Arenado would come in at about a $6.7 million raise, that would land him at a $24.45 million salary — less than his $26.1 million projection. On the other hand, if Arenado’s Gold Gloves or higher service time factor in, we may still be north of that and closer to his projection. Arenado will be an interesting, record-breaking case this year. With several complicating factors impacting his case, there’s a fairly large spread of dollars theoretically open for discussion. Ultimately, I suspect that the model is pretty close, but I could see being off by a couple million in either direction. So much money, so little time, to sign an extension? Please, whatever you do, get the hell out of the NL west. You destroy every team. $400 million 10-12 years is the new gold standard? Harper, Arenado, Trout? No disrespect to Arenado but he’s not in the class of those other two. No disrespect to Arenado? Trout is in a class of his own. The gap between Harper and Arenado is much smaller than the one between Harper and trout. Harper is a fraud…average hitter and a poor outfielder…after 7 years you’d think he’d be doing something more than hitting in the .240s who strikes out a gazillion times. The writers have a man-crush on him though so the less knowledgeable continue to get sucked in. Can’t wait to see who “loses” the Harper sweepstakes and kills their organization for about 10 years. He’s a .263 lifetime hitter away from Coors. 108 homeruns at home, 78 on the road, same number of games. That’s not quite equal. Almost all players hit more homeruns at home than on the road. He’s not the only player with home road splits like that. Let’s see what Machado and Harper end up with before guessing. Question, should a team sign Machado for third or wait for Arenado? I disagree on him not being in the others class. Harper has been inconsistent and Machado has external issues. not “fail” but just not do as well. Holl.iday did pretty well post Colorado but not as well as in Coors. Nice player away from Coors, but his stats are certainly inflated. And Machado’s weren’t playing in Baltimore? Exactly. Baltimore’s stadium would seem to have increased his numbers. Playing in a larger ballpark would hamper his free agency destinations. All of this money chatter causes my cerebral cortex to malfunction. Good luck and you guys figure it out. $25 Mil. . . Nice Round Number……. Also, 10 Years $250… ??? I’m not sure what the Coors field effect has in players long term. If they break down more. . . Todd Helton? Maybe that was just the juice. But I could see a ten year deal. Make him a Rockie For Life… Might as Well. . . . . . .
Only 250 million. Come on man, he has a daily to feed. Rocks should move him along they have two kids coming up To fill 3b and 1st base spots just eat Desmond’s contract and go with Nevin kid at first and try McMahon out at third – your like the Giants with bad contracts but you do have good young players to come in and keep it rolling unlike Giants that have zero in their minor league system. I would of never guessed Nolan was still w/in his arbitration years! If I was an owner, I would patiently wait out this year’s class for this guy. depends on the situation. Was it worth the minor leaguers the Dodgers gave up for Machado? Would LA have gotten to the WS without Machado? If some team is desperate for a third baseman and in the running for a playoff spot is it worth a couple prospects to win it all now? It’s a question GM’s have been asking for years. Nolan has said many times he wants to play for a consistent winner. Hopefully two consecutive trips to the playoffs and a young, effective starting rotation are enough to convince him that Colorado is the place to be for the next several years. Hindsight is always 20/20 but perhaps they should’ve talked to Arenado about an extension before Blackmon. An aging CF with defensive questions wasn’t exactly the guy I would’ve extended. Arenado would’ve cost a good deal more and perhaps it wouldn’t have happened. But it looks like you just gave a corner outfielder 77MM for the next 4 years. I think that’s a good bit more than he would’ve gotten on the open market. Nolan wants to stay in Colorado. The premier 3rd sacker in baseball could move to 1st base. This move has been done numerous times with success. This would leave 3rd base to young McMahon or Brendan Rogers with Desmond moving to the outfield. Trading Arenado is a real possibility if the two sides cannot agree to contract terms. Would yall take austin gomber nolan gorman and dakota hudson for arenado? As a lifelong cards fan im ready to do that move!! !